Many members of the Texas Legislature have conflicts of interest, or at least they would if the rules on such in the Lege were more clear. Advocates of a part-time legislature say the system keeps lawmakers in touch with their constituents. Lawmakers are expected to serve their communities, and check their personal interests at the Capitol’s massive oak doors. A study of the personal financial statements filed annually by lawmakers with the Texas Ethics Commission shows most lawmakers’ professional lives are deeply intertwined with their government service, or are directly affected by legislation debated each session. Knowledgeable legislators also weighed in last session on reform of the Texas Windstorm Insurance Agency: Rep. Craig Eiland, D-Galveston, a lawyer who handled hundreds of thousands of dollars’ worth of claims against the insurance agency, and then-Rep. Larry Taylor, R-Friendswood, an insurance agent who has sold windstorm policies. Taylor, recently elected to the Texas Senate, chaired the committee overseeing TWIA; Eiland was vice chair. Both weathered a storm of criticism for their involvement in legislation with a direct impact on their private livelihoods. 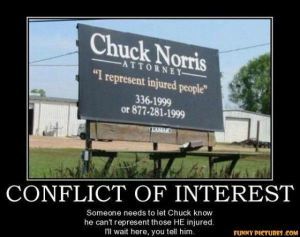 What exactly constitutes a conflict of interest for a Texas legislator? “The laws are too weak to provide any meaningful guidance for legislators and there is no meaningful enforcement,” said Tom “Smitty” Smith, director of the Texas office of Public Citizen. One solution, Smith said, would be for lawmakers to follow the Texas Local Government Code, which advises local elected officials to abstain from issues affecting businesses in which they have more than a $15,000 investment or receive 10 percent of their income. “That bright line would be more effective,” he said. Currently, lawmakers do not have to disclose a dollar amount for each source of occupational income. A big part of the problem is that being a legislator means needing to take a six-month leave of absence from your job every other year, for which you get paid all of $7,200. It’s not particularly conducive to holding a regular job, but that doesn’t mean there aren’t plenty of people who want to hire you. It’s just that these are often people and organizations with interests in particular legislation, and they want to hire you for your expertise as a legislator. As you might imagine, that can be a problem, especially since the rules of financial disclosure for legislators allows them a fair bit of leeway in describing how they earn their money. To me, the answer is to recognize that being a legislator is a fulltime job regardless of how much the Lege is actually in session, and pay legislators a salary that recognizes this. Once you do that, you can very strictly limit the amount of things for which they can be paid outside of their legislative duties, and ensure there are sufficient punishments for breaking those rules. I don’t expect anything like this to happen any time soon, but until then I don’t think we have much grounds to complain about what these folks do, or think they have to do, to earn a living. I always say we get what we pay for, our $7,200 a year reps make money off their votes.